Are you ready to go head to head? 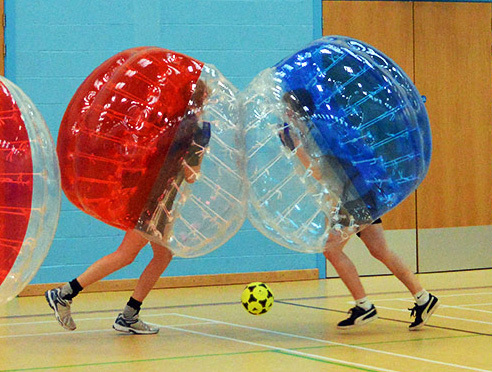 Exe Bubble Football is an Events / Hire company based in Exeter, Devon. Delivering laughter, fun and excitement to a range of events across the South West. Locations include: Barnstaple Bath, Bristol, Cornwall, Exeter, Exmouth, Newquay, Plymouth, Taunton and Torquay. Guaranteed to be one of the craziest and most exhilarating experiences of your life, it will leave you on your knees in laughter and wanting more! Want to know a bit more about what’s involved? Click here to find out. Want more or fancy something a bit different? We also deliver Archery Tag and Nerf Gun Parties through our sister company SportyStars. 1 hour hire, maximum 20 people! 1.5 hour hire with unlimited players! 2 hour hire with unlimited players! 3 hour hire with unlimited players! We offer a range of bespoke corporate packages!